Save the dates, custom hand-lettered invitations and programs for a rustic winter wedding. The wedding was held in the winter at Heritage Park in Calgary so the invitations were designed to embrace the romantic and classic idea of a winter wedding in a stunning historic hotel. 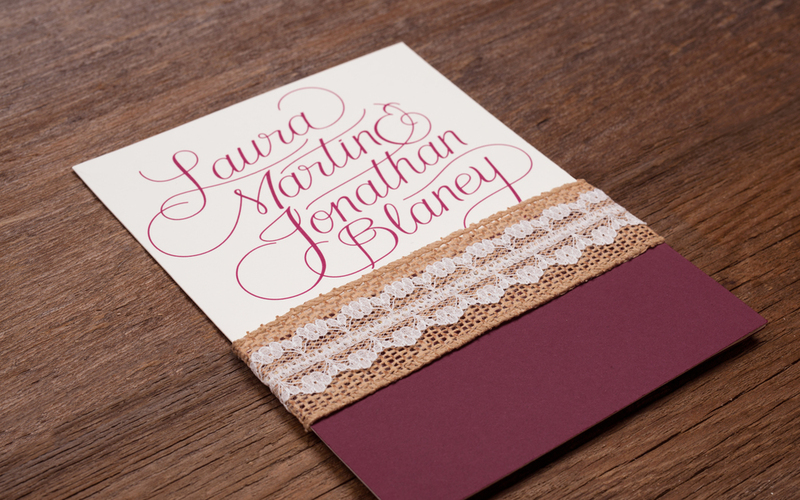 The invitation was designed so the RSVP information card fit together with the main invitation the two pieces were held together with a rustic lace band.